KNOXVILLE, Tenn. – It was an easy decision for Derrick Ansley to return to Rocky Top after spending a season in the NFL as the Oakland Raiders’ defensive backs coach. 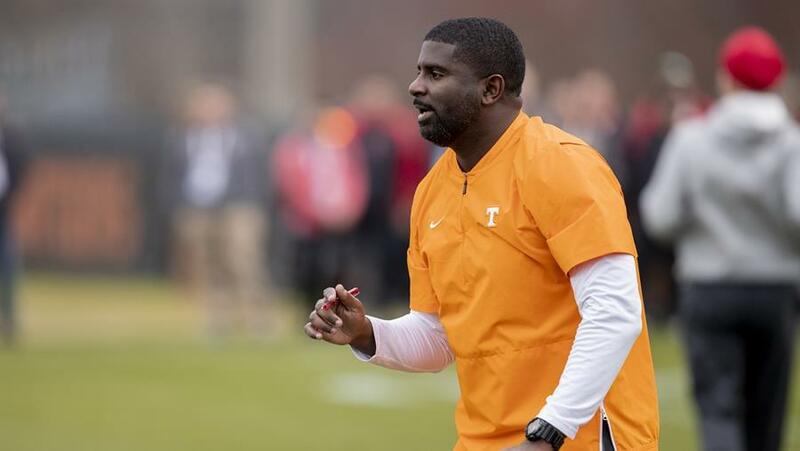 Ansley, who was hired as Tennessee’s defensive coordinator in February, said his relationship with head coach Jeremy Pruitt and the lure of Tennessee’s campus, resources and fanbase was strong enough to pull him back to the college game. 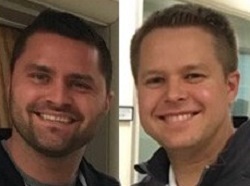 Ansley was an assistant at Huntingdon College, an NCAA Division III school in Montgomery, Ala., when he first met Pruitt, and the pair eventually worked together at Alabama in 2010-11 before Ansley came to Tennessee as the cornerbacks coach in 2012. He also coached the secondary and was co-defensive coordinator at Kentucky (2013-2015) before reuniting with Pruitt at Alabama as the DBs coach (2016-17). “Coming back here, working here at Tennessee in 2012, the familiarity with the campus, the fanbase, it was a really easy sell for me to come back,” Ansley said. Tennessee’s hire of Ansley was a coup after the 14-year coaching veteran and two-time national champion transformed the Raiders’ defensive back unit into one of the NFL’s most improved last fall. The Raiders had 14 interceptions with Ansley in 2018 after totaling only five in 2017. Ansley coached Gareon Conley in Oakland. Conley finished fifth in the NFL with 15 passes defended as he made tremendous strides in his second year in the league, starting 14 games after appearing in only two games as a rookie. Ansley believes his NFL experience will give him an advantage back in college football. 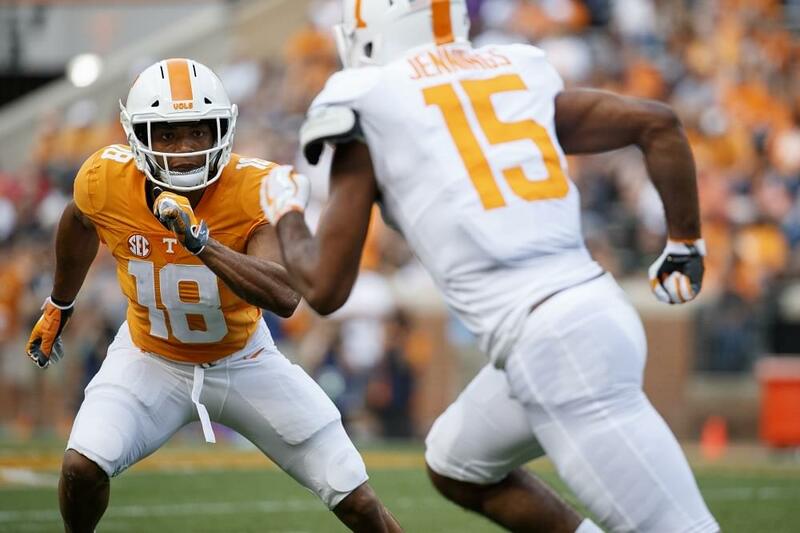 Pruitt announced on Tuesday the format of the Chevrolet Orange and White Game, the annual spring exhibition this Saturday at 6 p.m. at Neyland Stadium. The first team offense will be paired with the second team defense and the first team defense will be paired with the second team offense to give the fans the most competitive matchups: 1s versus 1s and 2s versus 2s. The game will be played with a running clock until the final four minutes of each half, and Pruitt is looking for an uptempo game. “I love it. I’ve known him since his eighth grade year. It’s hats off to him that he can go out there and the first 10 practices learn our offense which is very complex with coach Chaney and then come over on defense for the last five and play a complex defense. It has been a breathe of fresh air for the defensive guys especially in the secondary that he is able to get in there and fill in right now without missing a beat. He is ultra-competitive, has great ball skills, has a unique skillset and is a bigger man. We are very thrilled to have him over there and coach Pruitt will kind of figure out where he will land this summer and we are going to make the best decision for the team and for him.